Our dive center is open daily from 8.30 am to 7.00 pm. Then it is time to prepare your diving equipment to dive our 4 different and varied reef dive sites… Non-Limit, as often and as long as you wish. With us you are totally independent in your dive planning. 80 parking spaces for cars and caravans are available directly in front of the diving center. For your equipment we offer you two rinsing stations, various equipment racks and stainless steel trolleys for comfortable transportation. A hot shower, a gazebo and sun loungers invite you to linger. 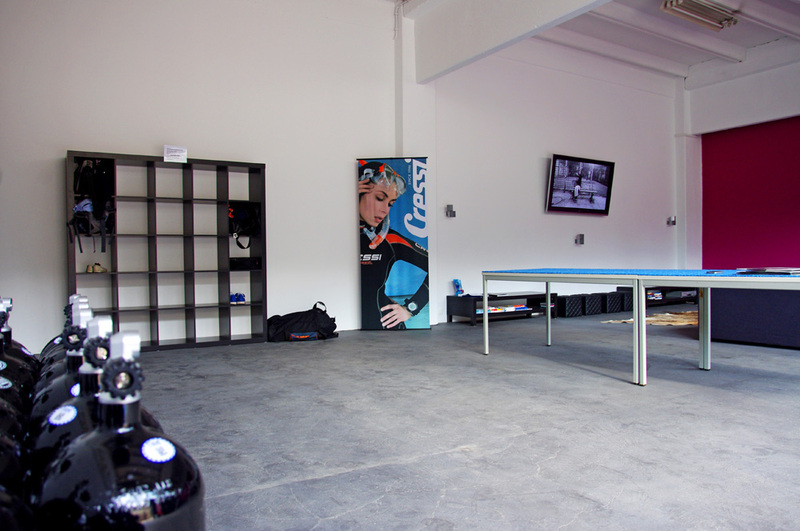 The 100 m² large and practical wet room with Rental Station provides up to 75 divers ample space for the storage and preparation of equipments. Every evening the equipment bars are rolled into the wet room to dry your gear overnight. Our cool Lounge Area with multimedia system (57 „LCD TV, Bose Surround System) makes every sporting event or music clip an experience. Wardrobe, dressing room, Gastro-refrigerator and charging station for cameras, underwater lights, phones and tablets are available to you. As wenn there is WIFI for FREE. Our three Shuttle-Vans (VW and Mercedes) take you comfortable, safe and fast to various dive sites. 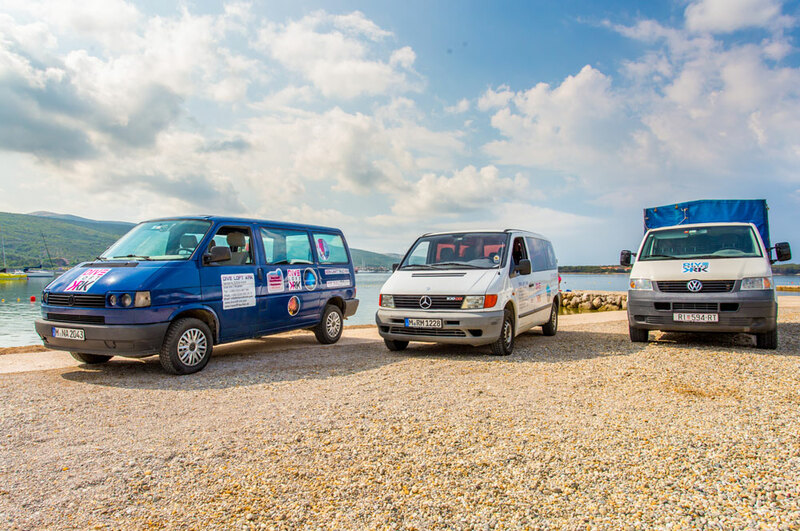 The services include: airport transfers, pick up from hotel and apartments, free transfer between DIVE LOFT KRK and DIVE CENTER KRK and event transfers. Our compressor L&W 450E works with an air delivery of 450 l/min for sufficient reserve in order to provide you enough full bottles anytime. The tank filling station is regularly maintained and operated with original L&W filter cartridges. 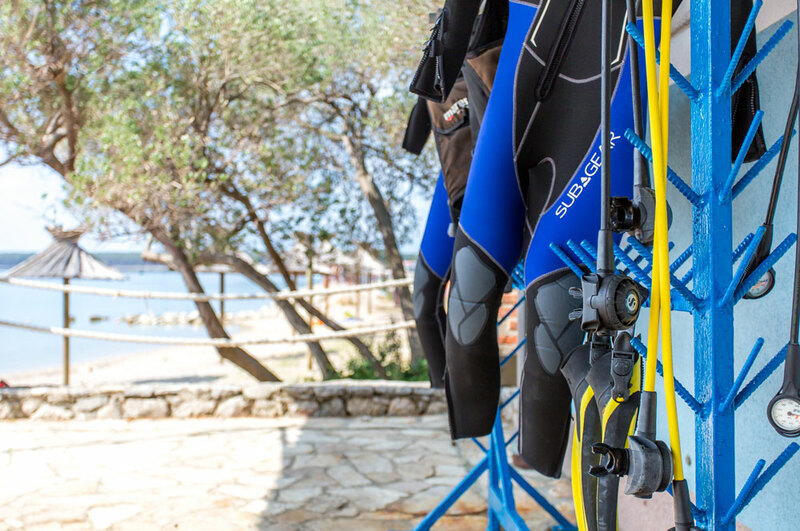 Our dive center is equipped with modern SCUBAPRO & MARES scuba diving equipment. These include: 40x regulator, 60x jacket, 100x 7mm wetsuit, 20x dive computer, 15x diving torch, 130x tanks 7L, 10L, 12L and 15L, as well as plus sizes and special ladies wetsuits. 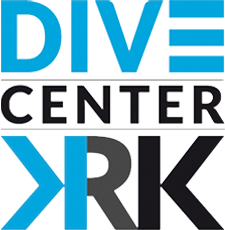 One major concern of the dive center DIVE LOFT KRK is to encourage and train the youth. Therefore we offer modern rental equipment in all current children’s and youth sizes for our very young guests. Specially trained Kids Instructors allow your kids to explore the underwater world safely. 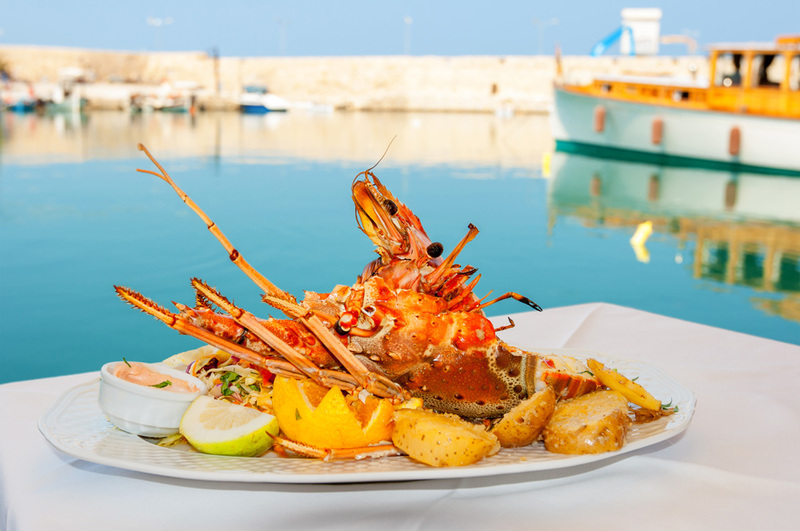 All our guests who want to enjoy perfect service culinary, breakfast, half board or full board is offered in the traditional „KONOBA LUCE“, just a stone’s throw from DIVE LOFT KRK. For a morning coffee or a beer after diving the bar „NAMORI“ invites directly in front of the dive center. 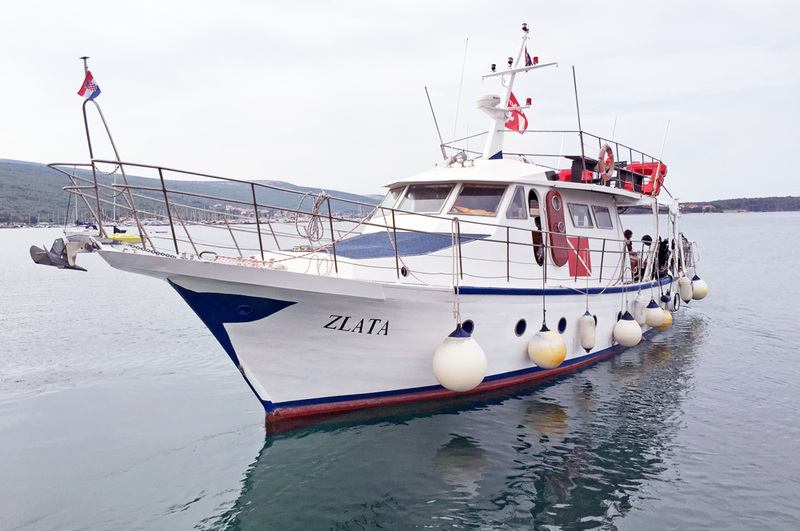 Our two daily tour boats ZLATA and VOJGA are perfect for leisurely day trips. Every day at 9.30 am we leave the port to dive at most beautiful sites of the northern Adriatic. Of course, the boats are equipped with all safety gear (oxygen system Wenoll, deco-tank, liferafts etc.). For all other dives such as single dive trips, wreck dive Peltastis, night diving etc. we go out with our DIVE BOAT KRK (MIKI 1). Equipped with sun deck, dive deck and WC it offers as much comfort as our large boats. In addition to any security equipment there are also cold drinks on board. The trips take place daily in the morning and afternoon. Our experienced, multilingual team of dive instructors and dive masters is always there for you… above and under water. You are not diving for a longer time? You are in lack of orientation under water? No problem! Our guides will help you with the equipment, show you the most beautiful spots underwater and will bring you safely back to shore. I have questions about your accommodations. Where can I find information? 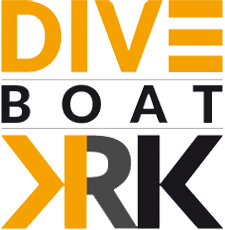 And if you still have questions, simply send us an email to info@dive-loft-krk.com or a message through our contact form. For diving in Croatia a permit has to be purchased? 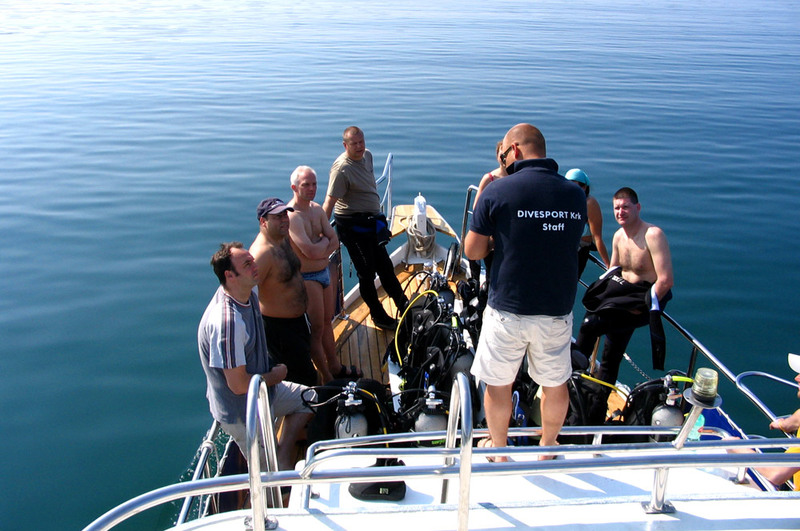 The small diving permit for Croatia was abolished a few years ago. So if you want to go diving with us (diving center), there is no need to buy a permit anymore. For individual diving a permit still has to be bought from the port authority (without diving center connection). Do I need a medical certificate for diving? 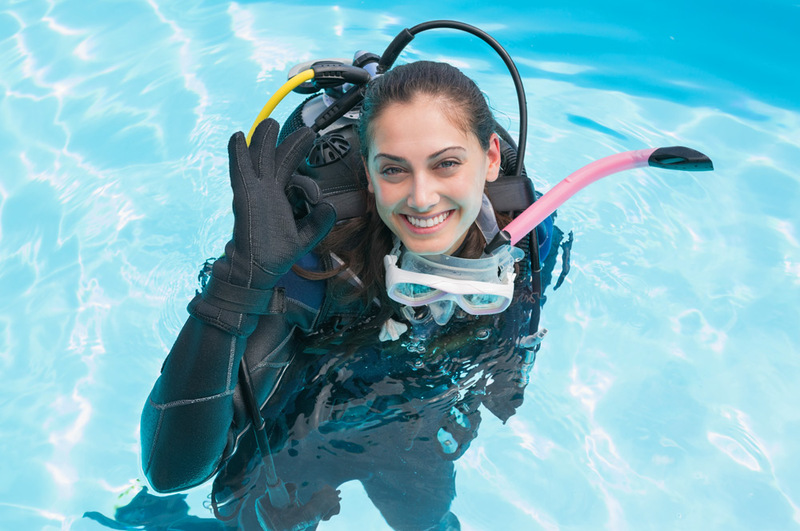 Do I need a dive accident insurance? 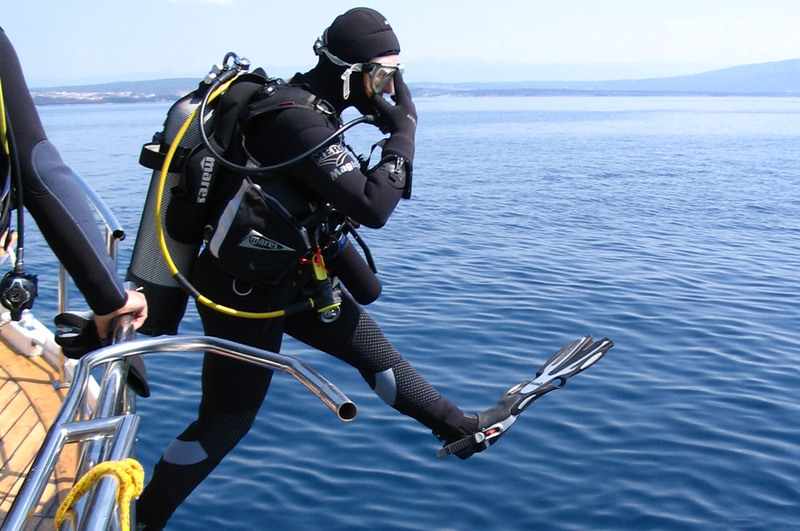 In Croatia, since the end of 2009, just as in most other European countries, a compulsory insurance for diving is necessary. Often several additional health insurances or insurances from the diving club cover scuba diving. In case you do not have an insurance, you can easily become a member of AQUA MED on site with us. 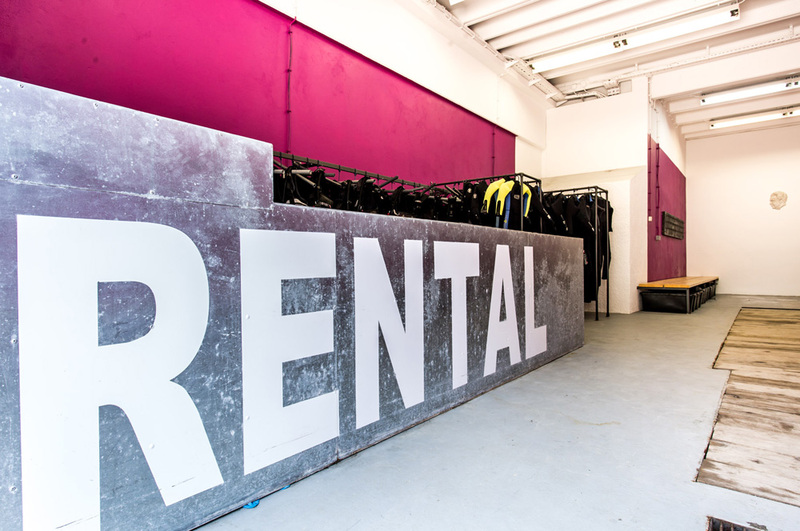 Can I rent equipment in the dive center? Yes! 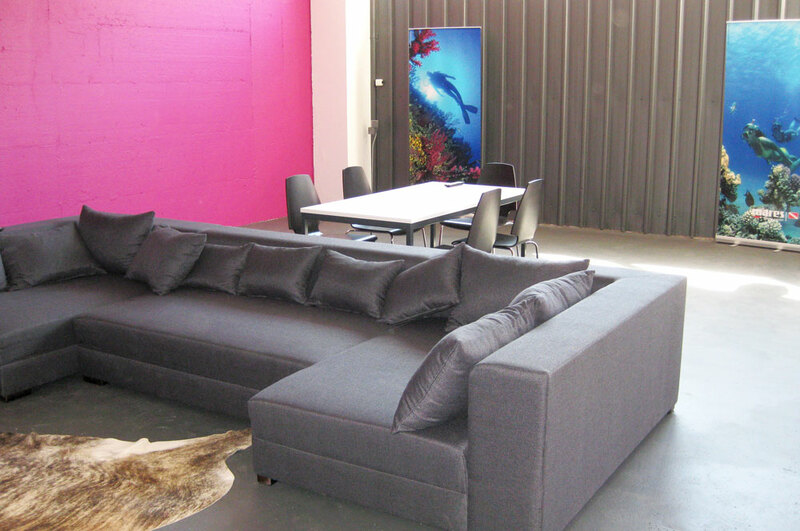 We have modern equipment of various well-known manufacturers in all sizes for rent. Even children and oversize equipment is available. Here you can find the information and prices for the equipment rental. I have not so much diving experience. Do you offer dive sites which are suitable for me? Our reef dive sites are perfect for not so experienced divers. You are welcome to dive with one of our dive guides, just let us know at place. Also, most of our dive sites, we reach by boat, are suitable for all levels of experience. We anchor in a quiet cove, where there is just a few meters of depth under the boat. Then you can do your dive according to your level of experience and as deep as your certification allows, of course, if you wish, in a guided group. 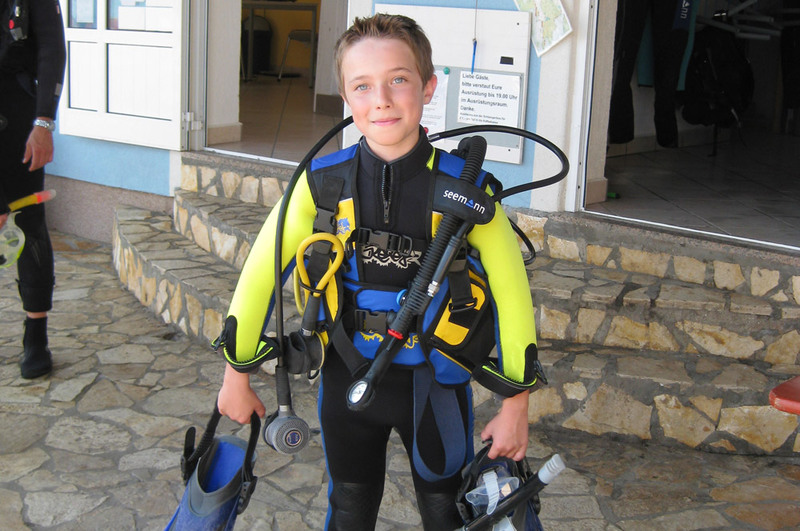 Are your dive sites suitable for children? We have a lot of kids with Jr. OWD diving with us. Our reef dive sites are ideal for children and young people who are not yet allowed to dive so deep. Our boats always are anchored in a sheltered bay. From there we start the dives and depending on the level of training diving just as deep as the certification allows, e.g. for the kids max. 12 meters. Even at max. 12 meters you can discover plenty of things at our dive sites! I travel alone. Can I have a dive buddy with you? Definitely we will find a suitable dive buddy for you. You are welcome as well to dive with one of our dive guides or in a guided group. Non-divers and snorklers can join your boat trips as well? Yes, non-divers and snorkelers can join our day trips. 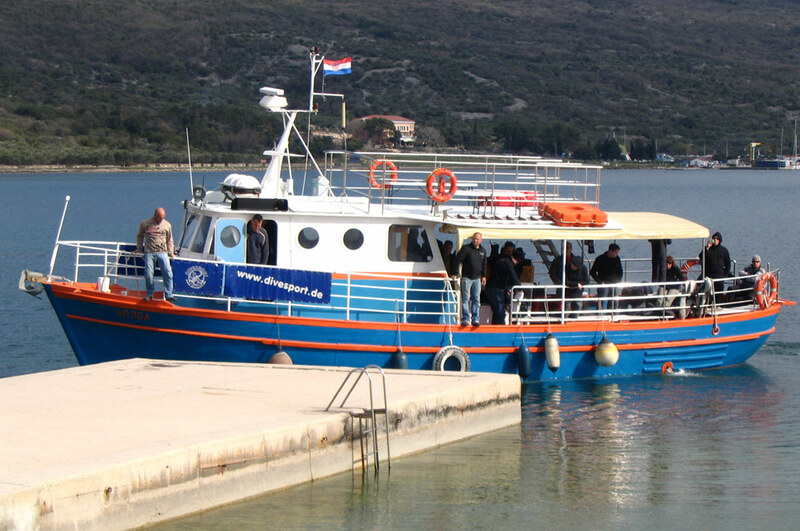 The day trip for non-divers or snorkelers costs EUR 20,– per person, if necessary plus EUR 5,– for the snorkel equipment. What kind of tanks and connections you have for rent? Most of our tanks are long 12 liter steel tanks, all with DIN connector. Among them are also some tanks with double valve for the connection of two first stages. 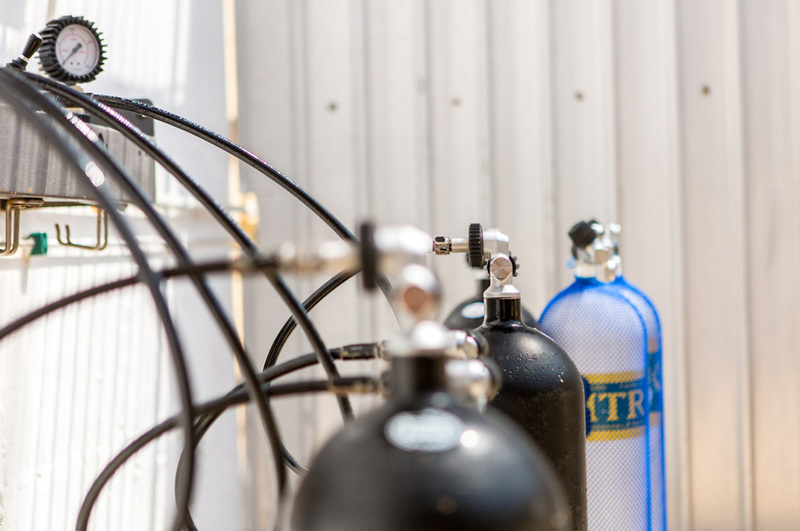 For our divers who need a lot of air, we can as well provide 15 liter tanks. And even small tanks for our kids we have available for rent. What kind of suit do you recommend for the dives with you? We recommend you a 5 to 7 mm wet or semi-dry suit with hood. Ideal would be a two-parter with vest, then, according to your needs, you can dive with or without vest. What is the best time for travelling to Krk island? And what about the air and water temperatures? A good time to visit the island of Krk is from May to mid-July and then again from mid-September to October. 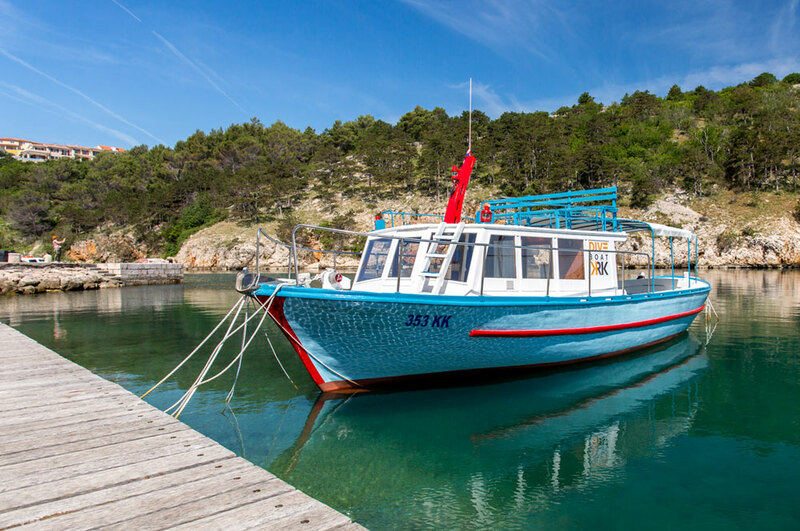 At these times it is already or still warm on Krk and it is generally not that crowded, because it is low season.